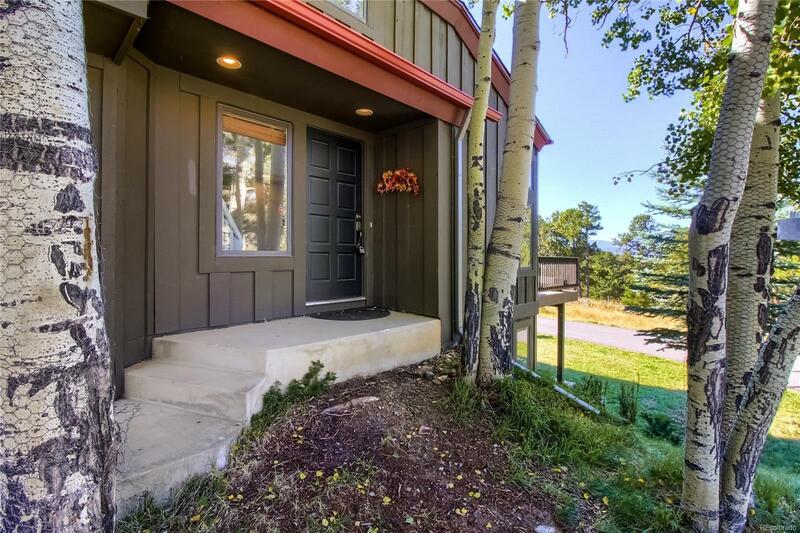 Gorgeous 4 bedroom townhome in Genesee with mountain views and high end finishes throughout! Step into a bright and open living room with vaulted ceilings, large windows and fireplace. Kitchen features granite countertops, stainless steel appliances, hardwood floors and dining room with large skylight. Relax or entertain on your extended Trex deck with mountain views. Upstairs master bedroom boasts vaulted ceilings, 5 piece master bathroom and walk-in closet. Two additional large bedrooms and updated full bathroom with custom tile. Convenient upper level laundry room. Finished, walk-out basement features 4th bedroom with walk in closet. Family room with bonus office nook, 3/4 bathroom and covered patio. Attached 2 car garage. Brand new AC unit, new furnace, new roof. Community pool, clubhouse, tennis courts and more! Minutes to to easy shopping in Evergreen. Quick access to trails & the mountains as well as an easy commute into the city.